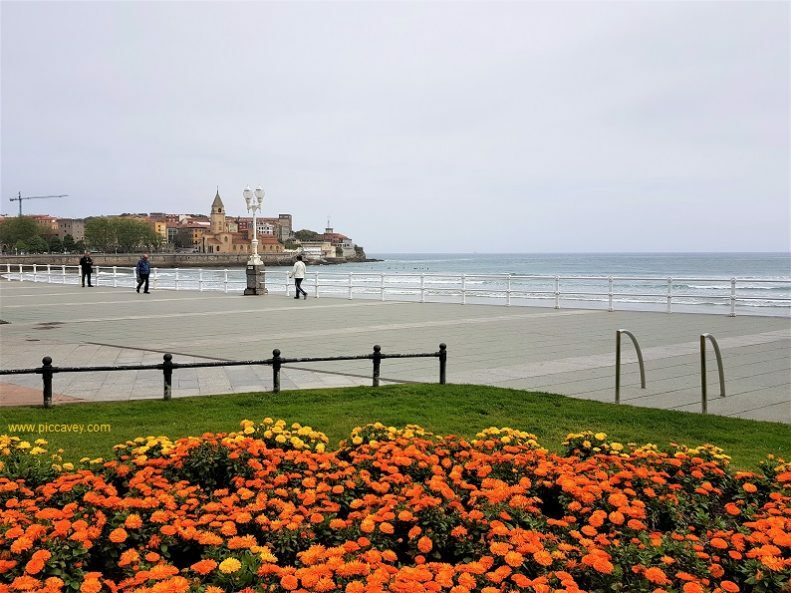 Gijon was a wonderful introduction to Northern Spain this region. In May I visited Asturias for the first time. 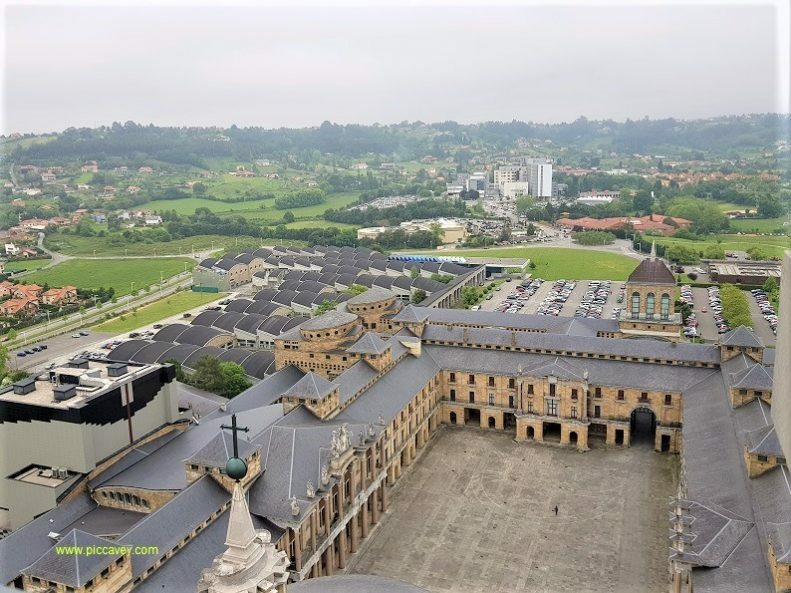 With a population of of 272,000 (2017) this Coastal City on the Bay of Biscay is the largest city in Asturias. After spending 4 days in Xixon as it´s called in Asturiano, here are my tips to make the most of a city break here. 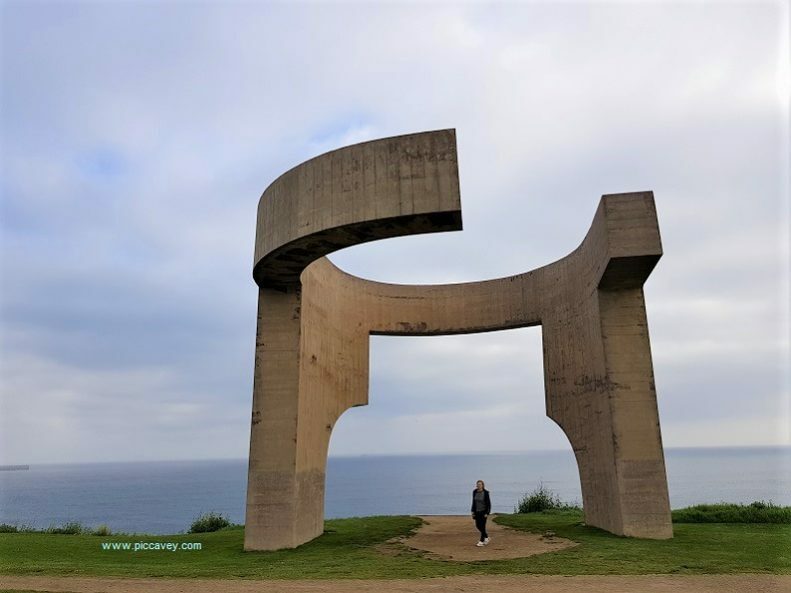 This huge sculpture by Spanish Basque artist Eduardo Chillida is an iconic place in the city. From this vantage point, you can see across the coastline and the city. The Cerro de Santa Catalina was a military ground until the nineties. Once decomissioned, this area of the city was transformed into a public park. This modern sculpture was added in 1990. As you stand beneath the concrete sculpture you can hear the waves below amplified. Echoing the sea like a gigantic seashell. From this point both beaches, Playa de San Lorenzo and Playa de Poniente are visible. The Old Town of Gijon is called Cimavilla. Located on the hill overlooking the coast, this area was once home to the fishing community. Small houses are packed into its sloped streets. The narrow alleys and colourful façades have a nostalgic feel to them. You may notice that some of the houses have the staircase on the outside, this was done to save space on the inside. This part of town has plenty of Cider bars known as sidrerías . 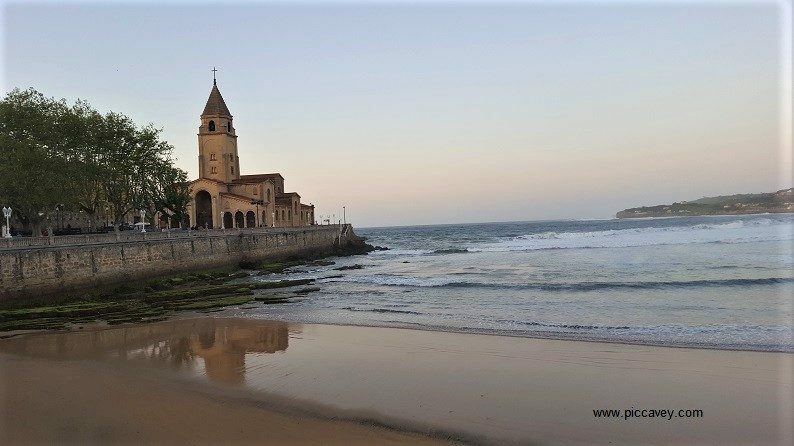 One of the most popular places to hang out in Gijon is the wall opposite the harbour on the edge of Cimavilla. Known as Cuesta del Cholo or the Tránsito de las Ballenas. As this street looks out across the water it makes the perfect spot to watch the sun go down and have a drink. The Romans Baths are from the 1st – 2nd century B.C. The entrance of the baths is next to St Peter Apostle Church on Campo Valdés. The museum was designed so the church building was not affected in the reovery of this site. 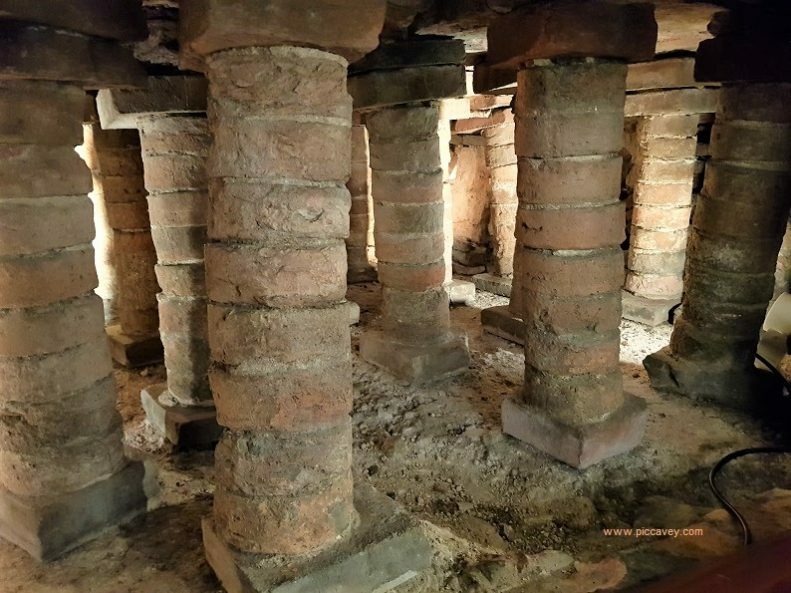 Once underground you can see the Cold Room, the Hot Room and even the heating system of the baths. (photo above) This chamber was built underneath the main floor. It is quite spectacular to see original parts of this Roman settlement all these years later. They certainly built it to last. 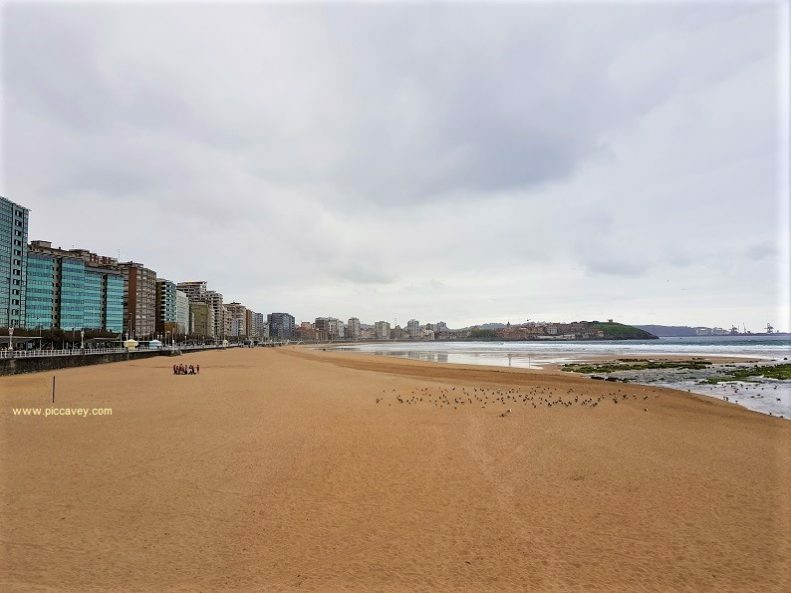 When you first arrive in Gijon, the huge expanse of golden sand is one of the first things you will notice. The beach is huge and the views across the bay are wonderful. The sands quickly disappear as the tides come in each evening. At one end of the beach you can see the River Piles where it meets the sea. Be sure to check the times of the tides when you are staying in Gijon, especially if you plan to go to the beach. Depending on the time of year, locals choose Playa de Poniente or one of the other ten beaches around Gijon. In Summer season the tourist information office is open on the seafront, next to the main beach. Also in Summer months you can see the coloured stripey tents set up on the beach. These casetas are typical and characteristic of Gijon. Even some of the kiosks and bins along the promenade mimic these fabric beach huts. Originally built as an orphange for children from mining families. As Asturias was an important coal mining area. Many families experienced deaths and serious accidents over the years. At the Laboral, Children had a programme of workshops and classes. They learnt skills for a specific trade and kept fit with sports activities. The academic classes here were a high standard too. Over the years the activity changed and it became a school. Nowdays the building is known as City of Culture and has a variey of uses. Part of the University is here, there is also a large theatre and several private companies too. There are cultural activities here such as exhibitions and tourist activities. On this site perhaps the most impressive part of the architecture is the church. As you approach it, it appears to be circular, but it is actually an Oval shape. The biggest church in the world with an elliptical shaped floor. So quite an architectural gem. The Tower is 117 metres high and the tallest building in Asturias. It is also the tallest stone building in Spain. You can visit the tower which has a super fast lift up to the top and enjoy these views like I did. Part of the tower resembles the Giralda Belltower in Seville if you look closely. Buses 1, 2 and 18 stop here from the City of Gijon. One of my own personal highlights of this trip was the Botanical Garden. I had two hours to wander around but it was nowhere near enough for me. This site is absolutely huge. 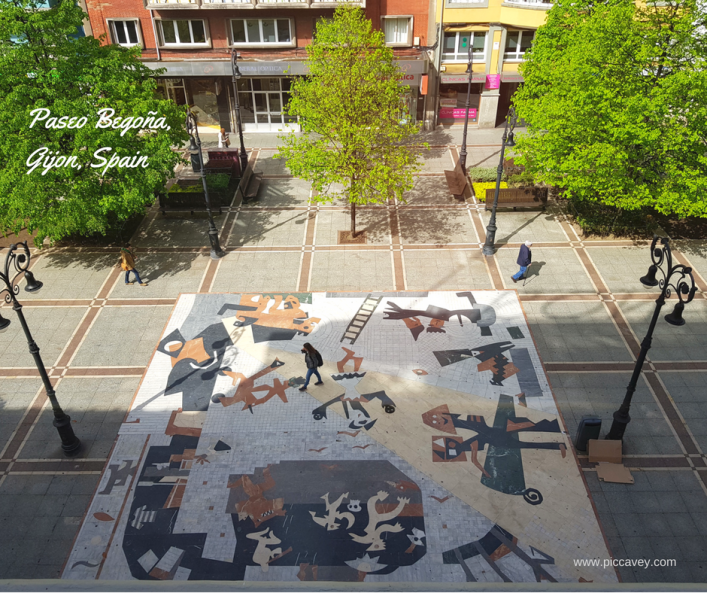 Located next to the Laboral University it actually has 25 hectares, 16 of which are open to the public. With 30,000 plants, the Botanical garden is arranged in four areas. Each representing the Atlantic geographies of the world. Inside the Botanical Garden there is a Cantabria area, a Vegetable Garden, an Island Garden and the Atlantic Garden. The whole site is impeccably maintained. 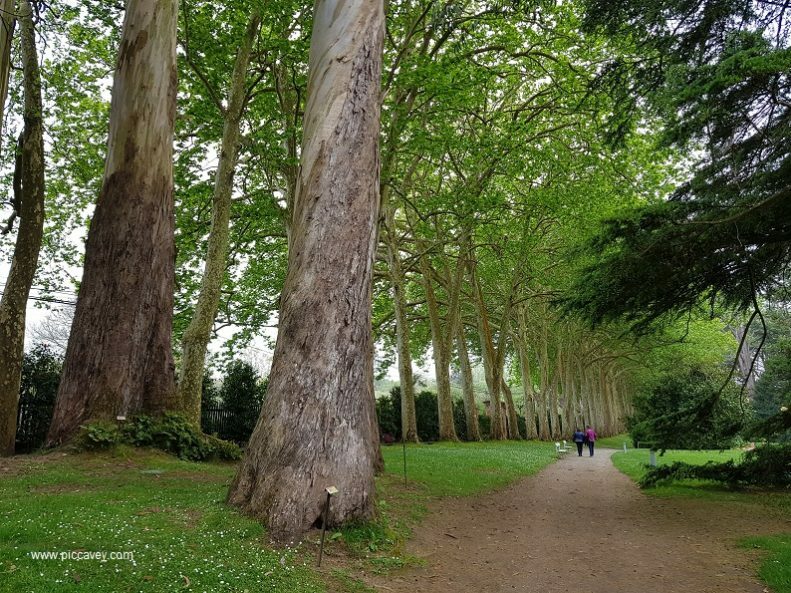 Some highlights are the Walkway of Florencio Valdes (seen above) with huge plane trees forming a natural green corridor. A little further on in the Island garden there is a stripey bathing hut overlooking a natural pool. 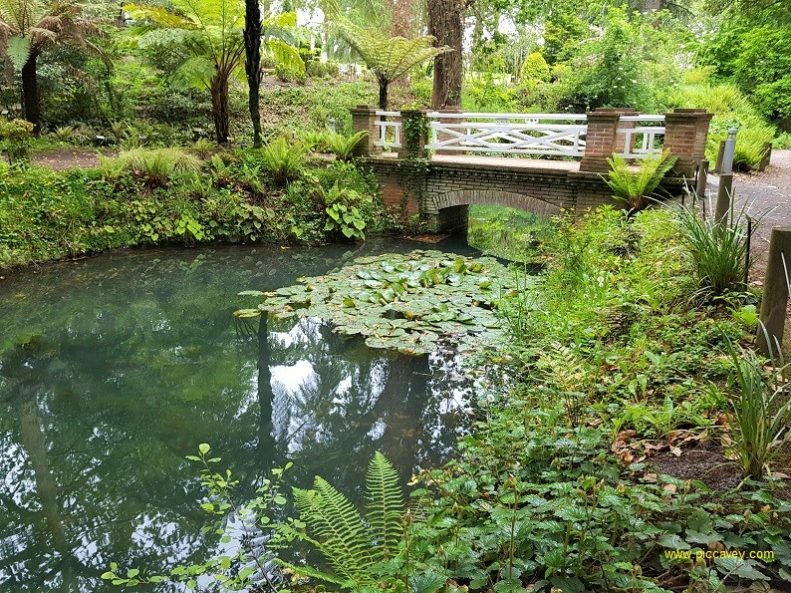 This part of the garden is over 100 years old. It was used by a prestigious businessman of the time Florencio Valdes. Some of the flowering plants were spectacular when I visited in May. Rhodedendron bushes were all in bloom and there were some cabbage roses which caught my eye too. I even got to see the typical Cider Apple Tree in flower on this site. I didnt get chance to try to find my way around the Labyrinth on this visit but would love to when I go back. Don´t miss this, especially if you enjoy gardening and horticulture or love natural spaces. As you would expect in any Spanish city, Gijon has a good commercial area and plenty of shops. The main shopping area is around on Calle Corrida, Calle de los Moros and Paseo Begoña. I did also spot a few little boutique style stores on Menendez Valdes and Calle Covadonga. Spanish High Street Stores such as Bimba & Lola, Massimo Dutti and Zara all have shops in Gijon. There is also El Corte Inglés Dept Store. There are also plenty of Spanish Shoe Shops too. For typical food from Asturias look for La Gijonesa. They have pretty packaging and typical delicacies to take home with you. I was looking forward to visiting the Muséu del Pueblu d’Asturies. I wanted to find out about horreos & paneras having seen them in the countryside on the edges of the city. 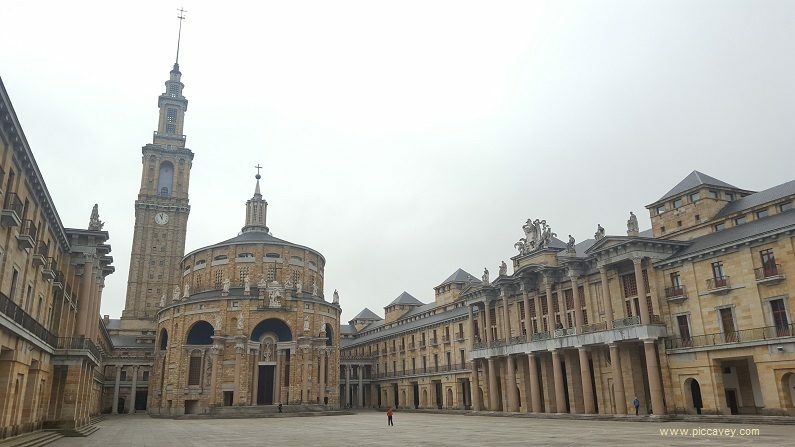 In Asturias they estimate that around 10,000 are still standing. Used as granarys or barns. They were built to store corn and grain up high, out of the way of rodents. Seen in Galicia and Asturias, some are wooden and some are made from stone. This yellow granary below is quite an elaborately decorated panera. At the Museum see different examples of these barns around the site. Although they also have other kinds of houses used in the region. They also have the International Bagpipe Museum located in one buidling. As Asturias has lots of Celtic heritage, bagpipes is an important part of local history too. At the Museum see different examples of these barns around the site. Although they also haveother kinds of houses used in the region. 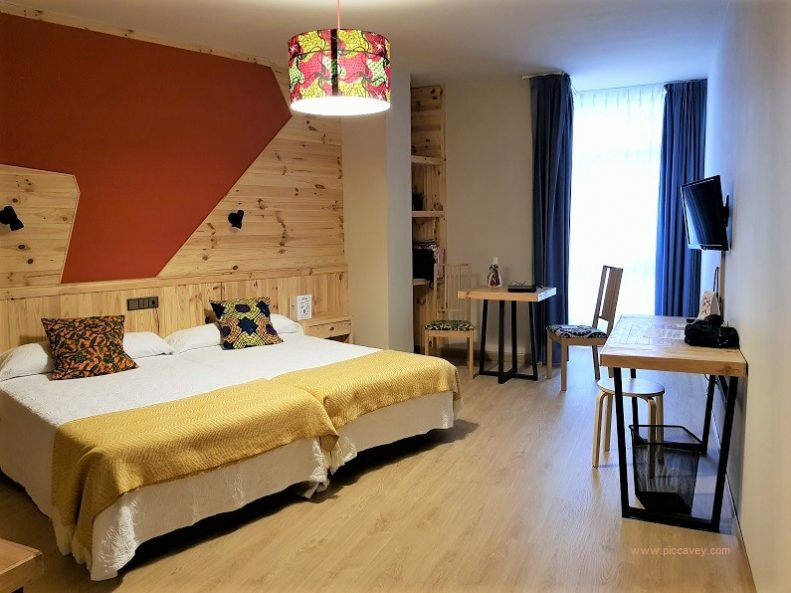 Another room has Asturian Bagpipes. In other areas of the museum there are displays on local culture and a 3D slide show of old photos of the area. You won´t get very far in the city without coming across the name of Jovellanos. Gaspar Melchor Jovellanos was an influential figure in Spain (1744-1811) born in Gijon. At the beginning of his career he was a Judge but later worked as a Politician, Author, and Philosopher. He also did lots to promote Asturias and improve conditions in the region. Due this legacy he has a Theatre and other places named after him. The Teatro Jovellanos is a stunning old style theatre. If you get chance to go and see a show here, it would be well worth it as there are few theatres like this left now. You can also visit his Birthplace, the Museum Casa Natal de Jovellanos. 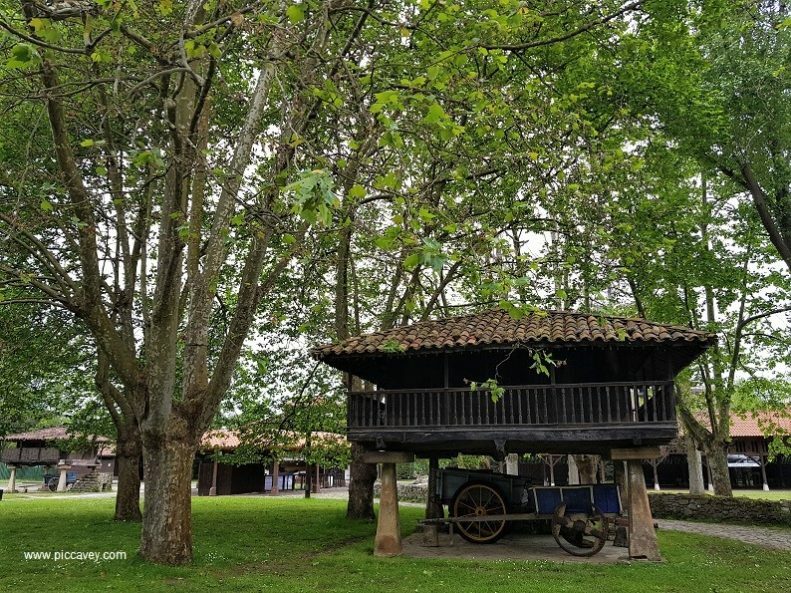 Inside the Musuem are works of art by Asturian artists. The most impressive piece is a wooden tableau depicting a typical scene in Cimadevilla in the 18th century. Head underwater with the turtles, fish and sharks at the Aquarium. Located close to the Playa de Poniente it´s open from 10am to 7pm. 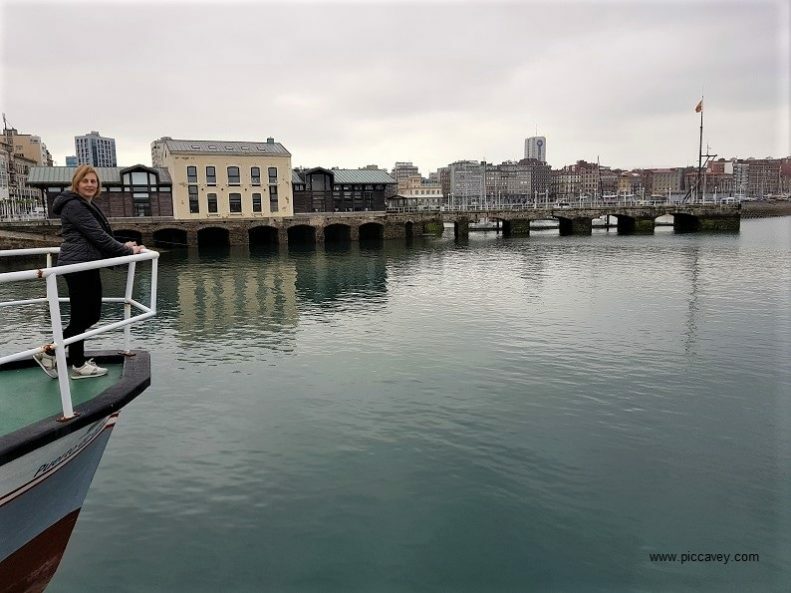 The Acuario de Gijon takes a look at the local Cantabrian Sea, the Atlantic Ocean and the Red Sea. There is also the opportunity to dine ´underwater´ at the Aquarium on special evenings. Having dinner next to the sharks and turtles must be a great experience. The Aquarium on one side of the harbour, just off the Playa de Poniente. As well as the Aquarium and Botanical Garden, Gijon has other activities for families. There are Boat rides along harbour in Summertime. Several companies offer excursions in different sized boats. The Railway Museum, Museo del Ferrocarril is also a good idea for Train enthusiasts. This museum has some great exhibits and lets you into the industrial past of this city. Some of the engines and train carriages remind us how this busy port would have been in the last century. Gijon is a great place for Water Sports. Whether you want to hire a Jet skis or make the most of the waves. Local companies offer Surf lessons and Equipment hire. At the Ciudadela Celestino Solar you can take a peek into the Industrial history of the city. 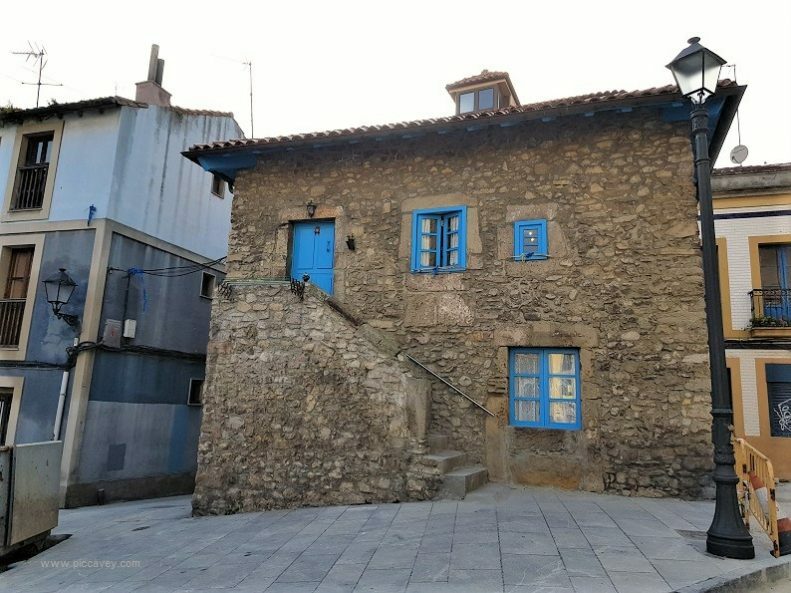 It is tucked away on Calle Capua in a narrow alley. These small houses were set within inner courtyards. 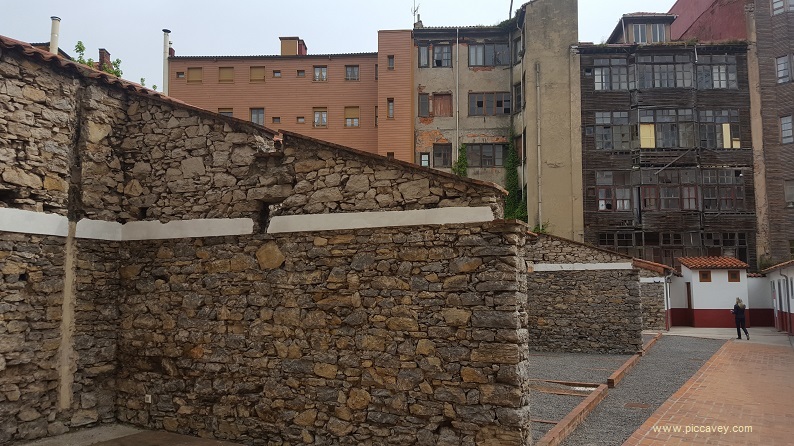 Invisible from the main streets and were a solution to the lack of housing when Gijon was growing. As the city grew quickly these slums were built in 200 different places around the city. 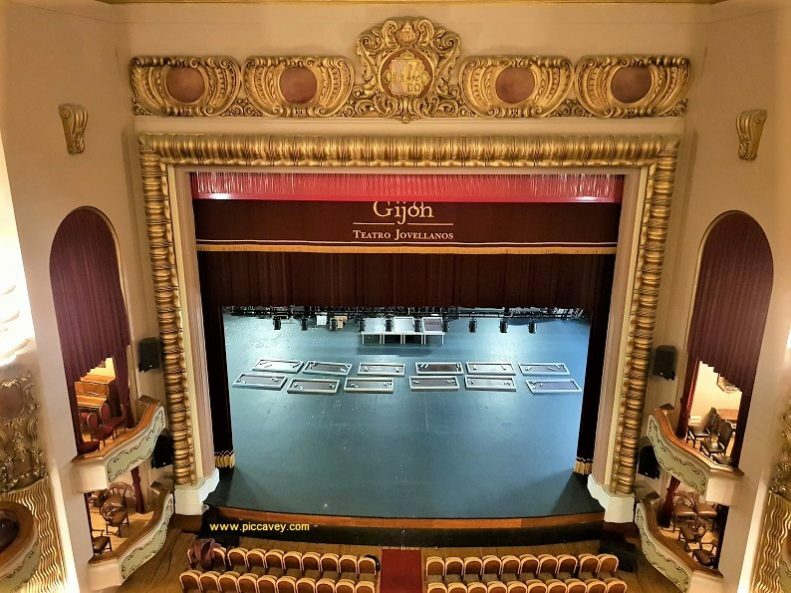 This centre gives us an idea of Gijon in 1877 through its exhibition. Around the corner there is an excellent restuarant with the same name Ciuddadela. Enjoy local Seafood and a great wine list. Asturian food is excellent. So much to explain on this it deserves it own chapter. Cider production in this area is very important and Fishing is too. The region has endless varieties of cheese too. On this trip I stayed at Hotel San Miguel. A comfortable hotel in an excellent location, just off the Seafront. The room was spacious and modern. At the reception desk they have some bikes and skateboards for guests. As Gijon is quite flat, it´s an ideal city for these pastimes. With the long bay and seafront to skate or ride along its ideal. There is also a Skate park on the Cerro de Santa Catalina too. The Buffet Breakfast at the hotel was 5 euros extra. (not included in the room price) However there was a Kettle in my room which I really appreciated. Recently it seems that many hotels have stopped having them in their rooms. The Internet connection was fast and reliable. It was also free for guests. I worked from my room for a few hours with my laptop and found the wifi to be quite quick. Despite the hotel having a 2 star rating, it was a fabulous stay. Don´t let this put you off. I would happily return to this practical friendly hotel. There are also Ferry Links to British and French Seaports too. Thankyou Samara for reading. I take all my photos with my Samsung phone and try to get good shots that barely require filters. Spain is such a diversecountry. Enjoy your planning. Congrats Molly, interesting post. 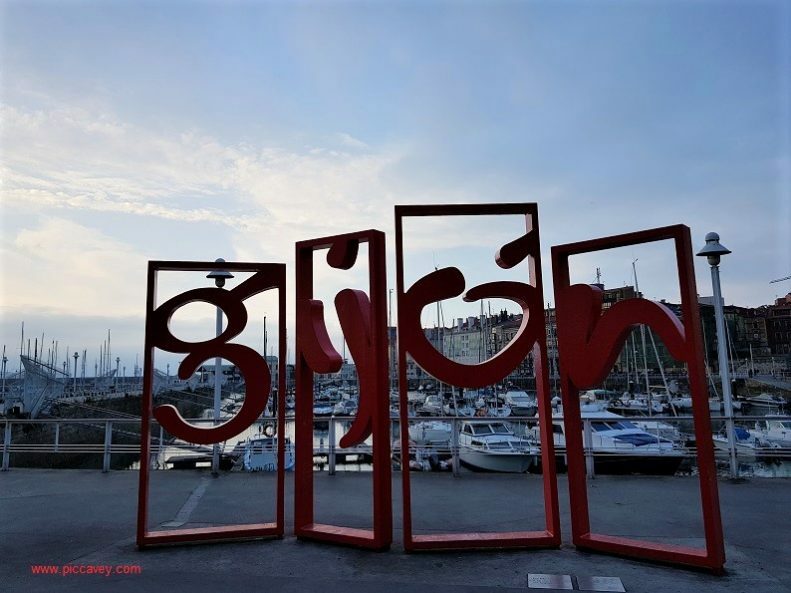 Gijon is one of the most exciting city in Spain. Sure there are some multinationals companies that are locating Emea offices. Sadly It wasn’t a sunny day!! The sunshine arrived in the afternoon as I was leaving the city. I really enjoyed the city. The food was also increible. I stayed in the city center 3 years ago and was just a short walk to the sea. Visiting the Roman Bath is a “must see”. It was amazing to see how it was built! There are many places to sit and enjoy the view as the tide comes in. The waves are very strong and lash out at the stone walls. When the tide is in everyone is fishing off the wall, when out digging for clams. Thanks for reading, that sums up the seafront so well. I could wander along there and sit watching the waves for hours. Thank you for sharing these amazing places to visit. Your photos are really great! Great Post! I’d love to get to Spain to explore. I’ve only ever been to Barcelona and that was just for a few days. 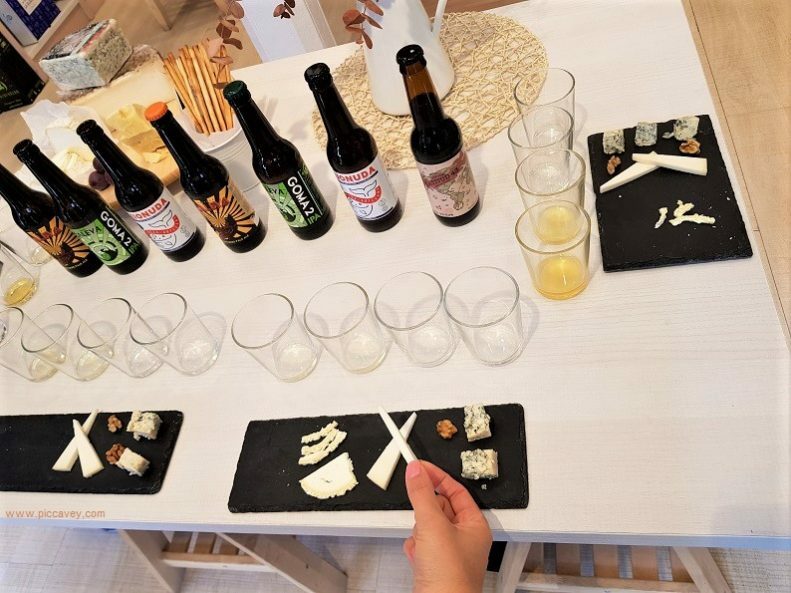 I would very much like to visit Gijon to try the local seafood and cider! I will save your tips and advice to make sure that I see everything. Thank you, it really does look like a wonderful city to explore. 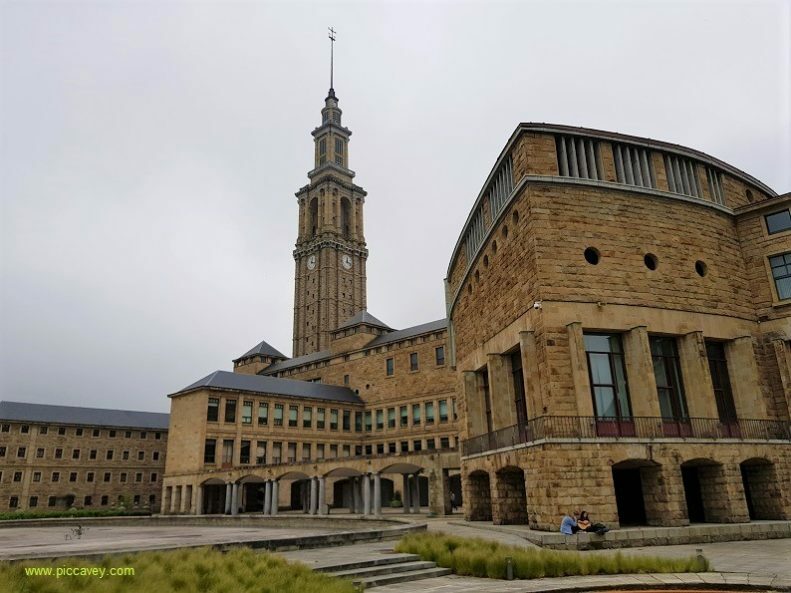 Asturias is still on my bucket list, and Gijón will definitely be on my itinerary when I visit it (my idea is a train journey or a road trip). I recently tried real ‘sidra asturiana’ (in Madrid!) and I absolutely loved it (nothing to do with the usual fizzy-and-too-sweet cider you find). 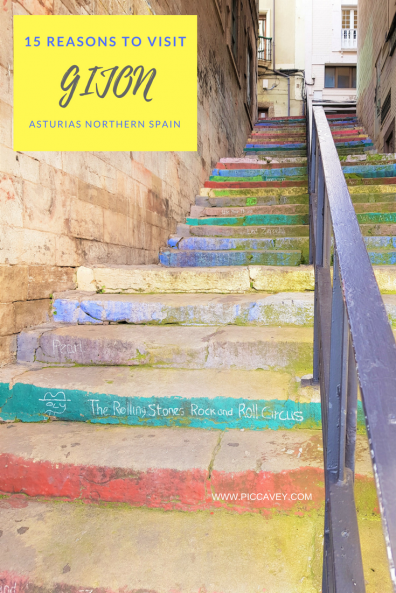 Asturias is one of my absolute favorite regions of Spain, even after living in Madrid for 3 years and exploring the rest of the country pretty in depth. 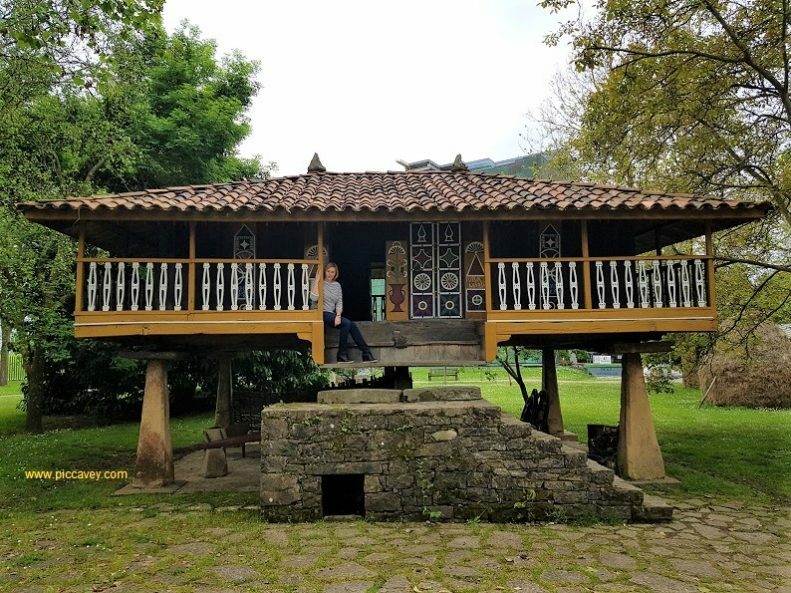 I fell in love with the north while walking the Camino del Norte, and I just can’t get enough of Asturias! The mountains, the greenery, the coast, and the people are just so friendly. Thanks for taking me back with your gorgeous photos — now I want to plan my next trip there asap! Thrilled that you enjoyed reading. I had an amazing break in Gijón. A total surprise for me. With just one day in Gijon I would suggest the following. 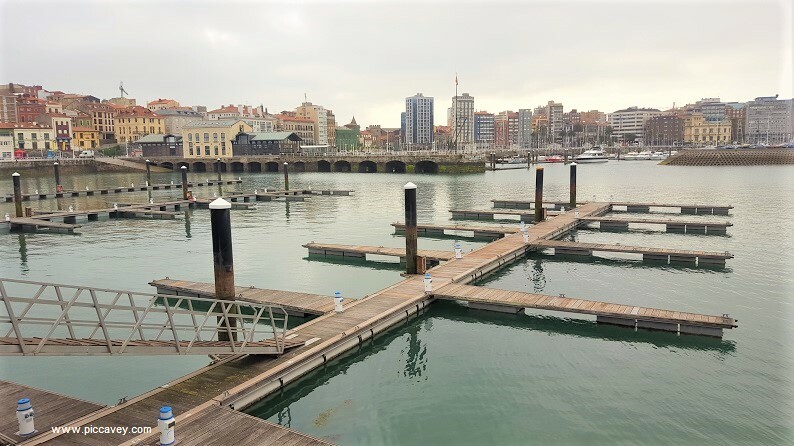 Book an official guide (email to amrene@telecable.es ) to show you the most interesting sights around Gijon city. Check musuem opening times and book restaurant ahead of time. Hi thanks for the tips. I am visiting a cousin in Gijon. I would like to see nature. Like horseriding in the mountains with beautiful views. there are other providers too.